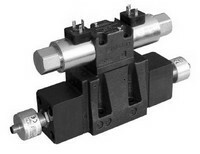 These solenoid operated directional valves are equipped with position sensors that monitor the main spool position. The switching position is indicated by a binary signal. Valves are TÜV certifide.